Audioguide Ltd, a business financed by Estonian private capital, was founded with the primary goal of introducing an innovative new service product called Audioguide to the Estonian and Baltic tourist industry; a portable, interactive audio device which serves as a personal travel guide. 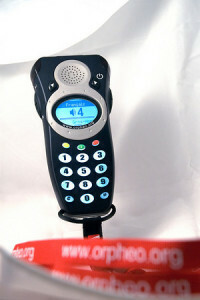 The idea from summer 2002 was realised on establishing the company Audioguide Ltd in spring 2003. Even before that, the business plan earned approving comments in media. In spring 2004 the first few audioguided tours were ready to serve tourists and several agreements were signed. Spring 2005 – Audioguide Ltd was accepted to be the exclusive representative of Ophrys Systémes, one of the top developers and producers of professional technology of audioguides in the world, and became the member of ORPHEO NETWORK worldwide organization. 2018 – still the sole audioguide company in Estonia and Baltic states who is doing the one and only thing it was created and started for. Thanks to our customers !